Our first ever guest post is from Eggars School talking about how alumni were involved in their massively successful National Careers Week activity. 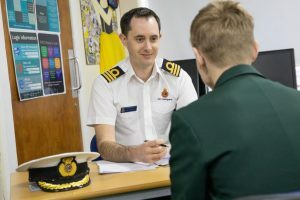 We ran a series of mock interviews for Years 8 and 10 which proved to be a fantastic learning experience, to not only find out what a real interview feels like but also to better understand their potential future direction. 375 students took part, each writing a personal statement which formed the basis of their 10 minute interview. In total, we had 28 interviewers who came from a wide range of jobs – from architect to corporate lawyer; from police sergeant to TV producer; from engineer to community officer. We were particularly delighted to see the return of 6 past students who had volunteered to act as interviewers. There was also one Secretary of State for Education. Damian Hinds returned to participate not only in a Year 10 Assembly but also as interviewer. He grilled Head Boy Rory Roberts Taylor who thought he might like to go into politics himself – keep an eye on Prime Minister Questions in 30 years’ time! Mr Hinds also took time to lead an assembly where he not only provided information on his own political career but also bravely answered questions put to him by students. Community Liaison Officer, Sarah McKenzie, who organised the week at school said that bringing back former students as interviewers resonated with their students and we are looking forward to engaging with our alumni network to support more events across the school. Now we can’t wait for NCW20! Eggars School have worked with Future First to create and engage their alumni network since 2017. Contact us to find out about Future First and how we can support you to involve alumni in the school curriculum and meet the Gatsby Benchmarks.